The clergy are membesr of the clergy of the Catholic Church of America. 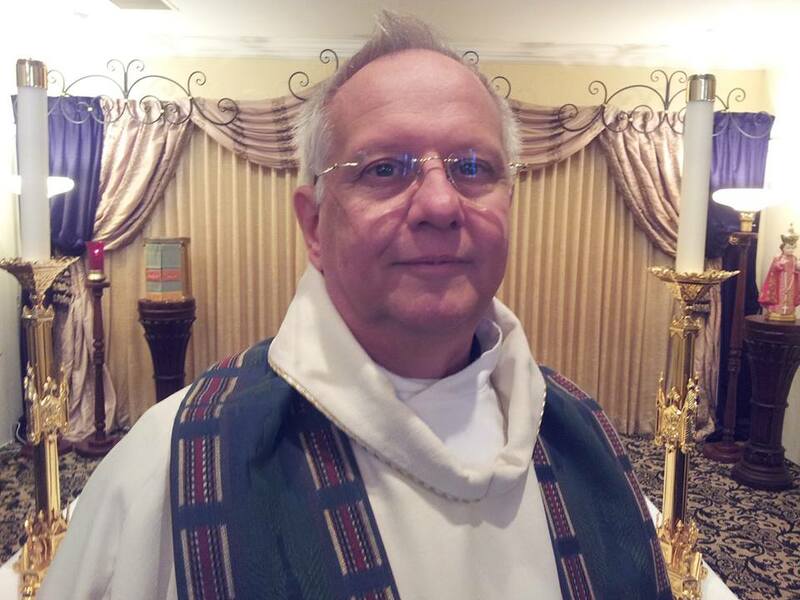 I am an Independent Catholic clergy member with valid sacramental orders and faculties. The Catholic Church of America is an independent (Old Catholic Church tradition) Catholic Church with validly recognized sacraments by Catholic jurisdictions. I have held various positions at our parishes in the greater San Diego County of, CA. Wehave officiated at many funeral services and am able to so with our without a funeral Mass. While we are located in the San Diego area, we officiate for funeral services in San Diego, Orange, Riverside and Los Angeles counties. In creating a funeral service, it is important to have a priest who is competent and experienced in pastoral care. Our experience is that families want a service which reflects who they are. They appreciate a priest who will take the time to discuss the many options that are available to them. Most funeral services follow the traditional Catholic rite. We assist families in personalizing the funeral service, to make it truly expressive of who the person was and the family's desires. There are many ways in which this can be accomplished. Options for readings, both from the scriptures and other sources, which speak to eternal life are permissible. There is also the option of having a vigil or wake serve the day before the funeral, a full funeral Mass, or a funeral service outside of Mass. Discussing your wishes with me is the best way to assure that your needs are met. The funeral Mass will be very similar to that celebrated in the Roman jurisdiction since we share the same liturgical forms and rites. The Funeral Mass is the preferred way of celebrating the life of the deceased. Because we are ecumenical in focus, all people participating in the ceremony are invited to the altar for communion; a a funeral Mass, regardless of religious affiliation if they believe and chose to receive the Eucharist. On a practical side, it only adds a minimal amount of time to the length of the Mass. As mentioned above the Funeral Service can also be celebrated outside of the celebration of Mass. As an ecumenical community, we are inclusive. We encourage you to consider how religious differences might impact the family. It is not one of those easily overlooked issues. We attempt to work with all budgets without making this an obstacle to the Funeral Service. A reasonable stipend guide is $250.00 to officiate at a Funeral Service. I work closely with funeral home staff to provide a smooth flow of services, paid before the Funeral Service begins. If we need to travel a distance, then family is often asked to cover the travel expenses, lodging, and meals. Acceptable forms of stipend may be rendered in the form of checks to be made out to the clergy person or cash. Again, this is generally handled through the Funeral Home staff. What must I do to have Father Tom Officiate? The first step is to either call us at, (858) 522-0072 or have a member of the4 funeral home staff you are working with.. This will allow me to check my calendar for availability on the date you are requesting for the Funeral Service. The Catholic Church of America may be the inclusive, open and affirming church for which you have been searching. We realize the ever increasing trend toward funeral services that respect and express the feelings of family members and therefore we place no undue burdens upon the family for membership at a particular parish. Father Tom available to officiate at funerals in the venue of the choice of the family whether that be in a church, funeral home, outdoors, on a beach near the ocean, or in the backyard of a friend or relative.